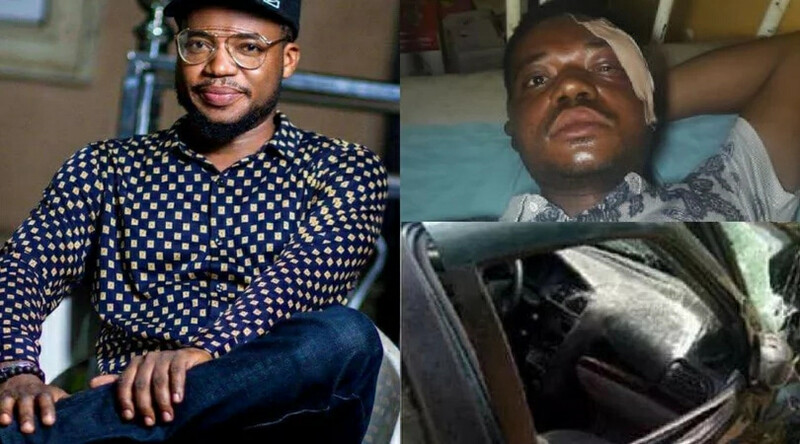 Unlabelled NEWS : Popular Actor Ayo Olaiya - "My auto accident story was very horrible"
NEWS : Popular Actor Ayo Olaiya - "My auto accident story was very horrible"
The son of Veteran musician Sir Victor Olaiya, Ayo olaiya opened up about the accident which almost cost him his life back in April. 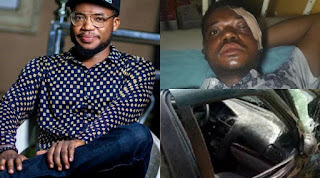 “My auto accident story was very horrible. I was coming from a movie location at Agbado crossing area of Lagos state. I was going for another production meeting at Agege and suddenly, a motorcycle rider crossed my car recklessly. In an attempt to avert a head-on collision with the motorcyclist and save his life, I swerved my car off the road and accidentally rammed into an electric poll beside the road. The impact of the smash was devastating. Immediately, I lost consciousness, only to wake up on the hospital bed after some hours. I thank God I’m alive today with my two eyes because the accident nearly made me blind. I was later told that a good Samaritan took me to a nearby hospital with the help of the producer of the movie I was actually going meet. He said they immediately took me to the hospital.